A huge fire tore through a 21-story hotel in Cheonan, South Chungcheong Province, on Monday, leaving one employee dead and at least 19 others injured. The 53-year-old hotel worker was found dead on the first basement level of the Ramada Encore Cheonan hotel, authorities said. Nineteen people, including four firefighters, suffered inhalation and were sent to a nearby hospital. Three of them were severely injured. Some of them are unconscious, a source said. President urges all-out efforts to eradicate violence in sports sectorSamsung President Moon Jae-in called for all-out efforts Monday to completely root out violence in the sports sector, insisting the outcome of results cannot justify abusive means. "The recent series of testimonies about violence and sexual assault in the sports industry are the shameful portraits of ourselves that have been hidden under the glorious appearance of the country as a global leader in sports," the president said in a weekly meeting with his top aides at his office Cheong Wa Dae. 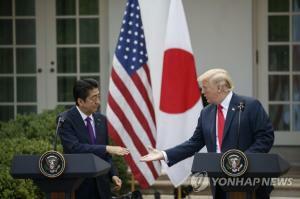 Despite having held military talks, South Korea and Japan failed to narrow differences Monday in stand-offs over a recent radar incident, an informed source said. General-grade representatives from the two sides met in Singapore in a bid to resolve "mutual misunderstandings" over a dispute regarding Seoul's use of military radar for humanitarian search operations last month, according to Seoul's defense ministry. It marked the first face-to-face contact between officials from the two nations over the sensitive case. 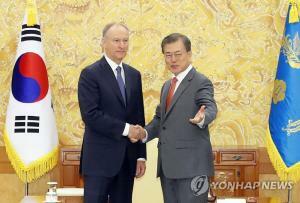 South Korea and Japan failed to narrow differences over a recent radar incident despite military talks on Monday. Tokyo has accused a South Korean warship of locking fire-control radar on its maritime patrol aircraft on December 20th. Seoul has rejected the claim, saying its Gwanggaeto the Great naval destroyer was on a mission to rescue a North Korean ship that was drifting in the international waters of the East Sea. Gov't to Extend Fine Dust Reduction Measures into Tues. The government will implement emergency fine dust reduction measures in Seoul and the surrounding metropolitan area for a third consecutive day on Tuesday. It will be the first time the Environment Ministry will enforce those measures in Seoul, Gyeonggi Province and Incheon City for three straight days since they were first introduced in 2017. Bloomberg says North Korea's nuclear program has quietly advanced in spite of leader Kim Jong-un's New Year message that the North took steps to stop making nuclear weapons. The report Tuesday said that satellite-imagery analysis and leaked American intelligence suggest North Korea has churned out rockets and warheads as quickly as ever in the year since Kim halted weapons tests, a move that led to his June summit with U.S. President Donald Trump. Seoul was hit by a record-high level of ultrafine dust, known as a class one carcinogen, on Monday, as most of South Korea was blanketed by extraordinarily heavy levels of choking dust particles for the fourth consecutive day. The Ministry of Environment has decided to extend a set of emergency measures aimed at reducing fine dust in Seoul, Incheon and Gyeonggi Province through Tuesday. It would be the first time for the government to implement the system in the metropolitan area, which has around 20 million residents, for three consecutive days. Prosecutors raided the headquarters of South Korea's largest mobile carrier, KT Corp., on Monday as part of a probe into allegations it gave undue favor to the daughter of a lawmaker. The Seoul Southern District Prosecutors' Office sent about 30 investigators to premises including KT's main headquarters in Seongnam, just south of Seoul, and its Seoul office, to secure possible evidence over suspicion that it unfairly hired the daughter of Rep. Kim Sung-tae of the opposition Liberty Korea Party (LKP). The US is fine-tuning the details of a second summit between US President Donald Trump and North Korean leader Kim Jong-un amid media reports naming Vietnam as a possible site for talks. Asked when the two leaders will hold their summit, US Secretary of State Mike Pompeo said on TV that the administration is “working out the details,” without further elaboration. Woori Bank, South Korea’s third-largest commercial lender, officially adopted a financial holding company structure on Monday, pledging to actively pursue strategic mergers and acquisitions to expand its nonbanking business under its new status. “Woori has held a strong banking business, but its nonbanking segment has remained weak until now,” said Sohn Tae-seung, chairman of Woori Financial Holdings and Woori Bank, during a press conference at Woori Bank’s headquarters in Seoul on Monday. “Under the new holding company structure, we hope to thereby build up a stronger portfolio in the nonbanking business areas,” he said. Most of the country suffered high levels of fine particulate pollution Monday, prompting the Ministry of Environment and several local authorities to enforce emergency measures for the third consecutive day. Seoul’s daily average level of fine dust, or PM2.5, stood at 155 micrograms per cubic meter as of 5 p.m. on Monday, according to Air Korea. The average ultrafine dust level reached 120 micrograms in the nation’s capital, nearly five times the World Health Organization’s recommended daily average of 25 micrograms. Park So-youn, the head of Coexistence of Animal Rights on Earth (CARE), may be charged with multiple crimes including habitual fraud, as she allegedly had more than 250 animals euthanized without telling the group staffers and supporters. Kwon Yu-rim, a lawyer at Yuldam Law Office, said Sunday they will file a complaint with the police as early as this week. The move follows a CARE staffer revealing that some 250 healthy animals the group had rescued have been put down upon Park's order between 2015 and 2018 without the knowledge of most of the other CARE members. President Moon Jae-in will meet a group of business leaders Tuesday at Cheong Wa Dae for discussions on pending economic issues. "There won't be pre-selected questions and scenarios. We have no plan to limit questions. All participants will be given the chance to ask the President any questions. Questions will be answered by the President and ministers of relevant ministries," Cheong Wa Dae said in a press release, adding the meeting will last for 150 minutes from 2 p.m. Top decision-makers from about 130 leading conglomerates will attend the "townhall-style" meeting," allowing participants to voice their opinions freely without any formalities and where the President can openly communicate. Preparations for the second summit between the United States and North Korea are in full swing amid signs that their resumption of pre-summit high-level talks is imminent. U.S. Secretary of State Mike Pompeo said Sunday (local time) that Washington and Pyongyang are in discussion to "work out the details" over the highly anticipated summit between U.S. President Donald Trump and North Korean leader Kim Jong-un. 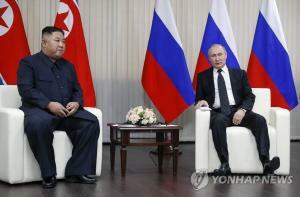 The remark is seen as an implication that the two sides are in an advanced level of talks to fine-tune such details as the timetable, location and agenda for the summit. The U.S. Forces Japan recently made a video that classifies North Korea alongside China and Russia as one of "three declared nuclear states" in East Asia. The move has alarmed some sticklers for official definitions, who believe that labeling the rogue nation a "nuclear state" will somehow increase its kudos. The video in question was made last December to stress the need to strengthen cooperation between Washington and Tokyo, and was posted first on the website of the U.S. Indo-Pacific Command on Jan. 5. Japanese maritime authorities tried to rescue a North Korean fishing boat that was spotted adrift off their shores but the sailors turned down their help, the Japanese media reported Sunday. According to the Sankei Shimbun, a Japanese vessel found the wooden fishing boat adrift in waters 350 km north of Oki Islands in Shimane Prefecture around 9 a.m. Saturday. The fishermen were waving a flag and shouting for help. But when the Japanese vessel approached, they said they did not want to be rescued by the Japanese. It was not clear why. Japan then notified North Korea and asked it to pick them up instead. Seoul's population declined at the fastest rate in 22 years last year, mainly because surging home prices are driving thousands of people in their prime to the satellite towns. According to Statistics Korea on Sunday, the population of Seoul stood at 9.77 million at the end of last year, down 91,803 from late 2017. The last time the population declined that much was in 1996, when it dropped by 132,765. Forty-somethings led the exodus, down 3.5 percent or 57,615 in just one year. The number of people under 29 fell 2.44 percent, and those in their 30s 1.93 percent. Only the population of over-50s increased two percent. Between 2012 and 2017 it was mostly people in their 20s and 30s who left Seoul. Jan. 11, Yang Seung-tae, 71, became the first former chief justice of South Korea’s Supreme Court to be called in for questioning by the prosecutors, and it’s only a matter of time before he stands as a defendant before one of his former subordinate judges to state his name and his resident registration number. The big question for the legal community is whether Yang will have to attend a hearing for an arrest warrant before his case goes to trial. Samsung Electronics and LG Electronics are suffering serious slumps in their smartphone sectors. While LG’s struggles have continued for the past three years or so, Samsung’s performance has plummeted in the past year. Some analysts are suggesting the slump for smartphones could be worse than the one recently plaguing semiconductors. Fourth quarter performance figures released on Jan. 8 showed operating profits for Samsung Electronics and LG Economics down 30% and 70% respectively from the same period in 2017. In both cases, one of the main reasons for the slide was underperformance in the smartphone sector. 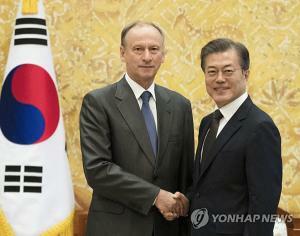 Eliot Engel, chair of the House Foreign Affairs Committee, said Sunday (local time) in an interview with The Dong-A Ilbo and Channel A that while it is a good idea and policy to work for (inter-Korean) cooperation, Washington needs to make sure that the North Korean regime does not use such efforts to its own advantage. The interview took place after he met with the National Assembly’s delegation to strengthen the South Korea-U.S. alliance. Swamps are on the decline across the country. According to a three-year research on the nation's 1,408 swamps by the National Institute of Environmental Research, 74 has been disappeared while 91 were reduced in size. The troves of bio-ecosystems, teeming with various fauna and flora of primitive quality, have gone into non-existence. Only 17 out of 165 wetlands turned into dry grassland for some natural reason according to analysis on the causes for disappearance or reduction. Separately, 148 swamps, or 89.7 percent, have been devastated to convert into farmlands or facilities such as roads and golf clubs. As Japan is demanding diplomatic consultations over the forced labor issue, Korea may propose discussing all unresolved issues involving the 1965 bilateral treaty that normalized bilateral ties, according to a diplomatic source. 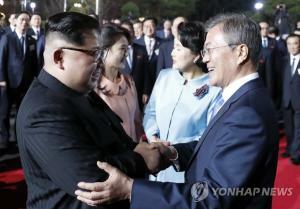 Seoul is considering suggesting to Tokyo that the two neighbors “discuss together all issues that were not dealt with during the 1965 treaty,” a diplomatic source familiar with Korea-Japan issues told the JoongAng Ilbo over the phone Sunday. Japan is objecting to the Korean Supreme Court’s landmark decisions last year calling for Japanese companies to compensate Korean victims of forced labor from the colonial era. Hwang Kyo-ahn Joins the Liberty Korea Party: Is This a Return to the Saenuri Party? Former Prime Minister Hwang Kyo-ahn is expected to join the Liberty Korea Party sometime around January 15. Although he did not personally mention his plans, politicians inside and outside the party expect Hwang to run in the race for party leader in the February party convention. Kim Byung-joon, chairman of the party's emergency committee said, "We had asked him to join since a long time ago, and he has replied to our invitation." It was well known that Kim had been enlarging the size of the party by contacting several figures for the purpose of gathering the conservatives, but now that Hwang's party membership is about to become a reality, we cannot but express our outrage. Bithumb, a leading cryptocurrency exchange in South Korea, plans to open a new exchange for security tokens in the United States in the first half of this year and more later in Russia and Europe. Officials in the related industry said Monday that Bithumb hopes to earn commission income by helping companies raise funds through security token offerings (STO). Although it is still up and coming, researchers believe STOs will help drive the blockchain industry as they will be able to sort out low-quality projects and contribute to a healthy ecosystem. President Moon Jae-in ordered a full investigation into violence and sexual abuse in South Korea's sports community amid widespread public anger at a revelation that a former short track speed skating team has habitually raped or sexually abused a 21-year-old Olympic gold medalist. Attorneys said last week that Shim Suk-hee, who served as the captain of South Korea's national female short-track speed skating team, has been sexually assaulted by her former coach, Cho Jae-beom, who is on trial at an appeals court on charges of violence. The attack allegedly began when Shim was a 17-year-old high school student. 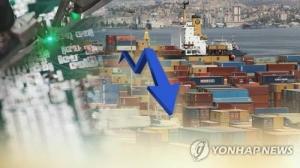 South Korea’s income-led economy is a risky model that could backfire if companies are discouraged to add new hires, warned Paul Romer, co-winner of the 2018 Nobel Prize for Economics. “What we see in many countries (with such a policy) is very high levels of unemployment especially among young people who should be acquiring skills,” said Romer, professor of economics at New York University’s Stern School of Business, in an exclusive interview with Maeil Business Newspaper. Daelim Group, South Korea’s 18th-largest conglomerate focusing on construction and petrochemical businesses, has embarked on the third-generation management under Lee Hae-wook, grandson of the group’s founder. Daelim Group announced on Monday that Lee, vice chairman of Daelim Industrial Co. was promoted to group chairman, completing hereditary succession at the conglomerate nine years after he was promoted to vice chairman in 2010. The chairman post was left vacant for eight years after Lee Yong-koo, a professional businessman unrelated to the founding family, resigned in March 2011. ------------------------------------------------------------------------------------------------------What’s ticking around the world at this second?